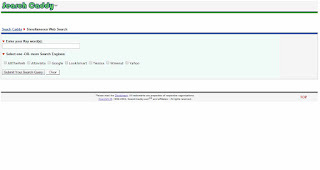 Search Caddy was a meta search engine of the American ITM Holdings, LLC. The meta search engine was offered from 2000 to about 2016, the website existed a little longer, but in recent years no longer offered search results. The metasearch combined its results from six of the leading search engines at the beginning of the 2000s, alternatively these and other search engines could be used individually. The results were ranked, duplicates were not removed.